International and Chinese experts got together in Beijing to discuss Sponge Cities in China and its relevant policy recommendations. But what can we actually learn from the discussion? Here are 6 key priorities that emerged. 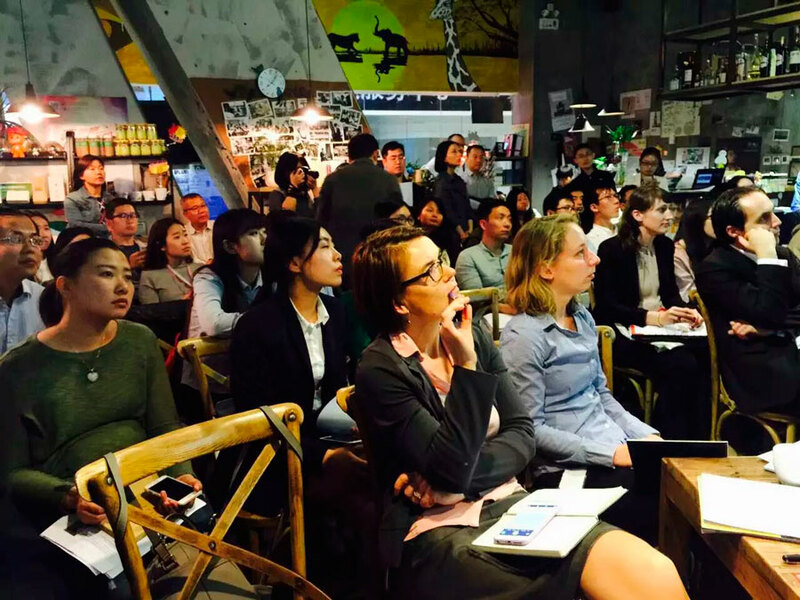 The second session of the World Future Council Future of Cities Salons series was held in Beijing on 26th April 2016. The event titled “China-Germany Dialogue on the Sponge City: Resilient and Regenerative” allowed Chinese and international experts to come together and discuss the concept of the Sponge City in front of several members of the local press. The concept of the Sponge City has gained particular attention in China as an attempt to define an effective model to tackle, among other issues, the increase in inner city floods experienced by many cities in China. Extreme weather events, such as more intensive rainstorms, are actually expected to become increasingly frequent as a direct effect of climate change. Hence the urgency to find effective ways to deal with this growing risk. Essentially, the Sponge city is designed to act pretty much like a sponge in the sense that during rainstorms it allows surfaces throughout the city to absorb as much water as possible. Currently cities are mostly impermeable systems that divert water into sewage drainages which often channel untreated water directly into local rivers (especially during high intensity rainstorms as only part of the water can be handled by the wastewater treatment infrastructure). By regenerating and expanding its own freshwater eco-systems (rivers, lakes, urban wetlands, gardens, parks etc.) the Sponge city allows storm water to be absorbed by the soil, which also naturally purifies it and stores it as groundwater. This reduces the burden on urban sewage systems, and during extreme weather events, improves the capacity of the city to absorb water and as such decreases the risk of flooding. While the urgency to transform our cities into Sponge cities is increasingly clearer, key policy guidelines to facilitate and encourage the creation of Sponge cities remain to be defined. Below are the 6 key recommendations that emerged during the discussions. “sponge city is about approaching the issues of natural protection, restoration and design of cities from the water regeneration perspective and from a macro-understanding of sponge cities”. In essence, it is not about isolated solutions but about finding integrated, cross-sectoral solutions grounded on the understanding of the city as a whole, organic, integrated system embedded in its natural environment and its water ecosystem. As pointed out by Professor Che, the construction of sponge cities is facing multiple challenges in China. The first major challenge is legislation. Without sound laws and regulations, the water issue cannot be solved effectively. Professor Che is very much interested in learning more from other countries on this matter especially from the relevant legislations in Germany and the EU. Currently many new developments in Germany are not allowed to discharge sewage free of charge. The question is whether this kind of charge-based model need the support of laws and who should be in charge of setting these regulations and charges (the city, the region or the national government?) In Germany, these kinds of regulation are mandated by local municipal governments and not by federal authorities. These local legislations are formulated according to local conditions, therefore may vary considerably depending on the city. According to specific locally-based problems, every city will calculate the cost on the disposal of wastewater. Adopting local taxation based on sound local regulation is therefore warranted. Another key element essential for the effective implementation of sponge cities is coordination between different departments. Both Professor Che Wu and Mr. Li Hailong pointed out that the construction of a sponge city project in China needs the coordination of different departments, including the department of Water Resources, Environmental Protection and several other city departments. Furthermore during the construction phase, various types of data (such as weather data, geological data, etc.) also need to be gathered from different departments and need good coordination and communication across teams. Still, strongly separated departments pose a significant barrier to the effective and smooth functioning of this needed integrated, cross-silo approach. Funding and financing problems are an inevitable part of city planning and construction. Mr. Li Hailong analyzed in depth China´s plans to develop sponge city through Public-Private-Partnerships (PPP). However, such model can only bring limited benefits and can only attract a few companies, which unavoidably causes funding difficulty. All of the speakers highlighted that China should adopt a model which takes into consideration the different local conditions, and cannot view PPP as the only funding way. Different cities should select different economic strategies concerning their varied natural conditions and economic situations. A careful assessment of local conditions and potential should form the base of any sponge city intervention. It is essential to carefully assess specific problems in the city and solve these by leveraging the local potential and regional resources. Standard conceptual recommendations for the development of sponge cities are applicable more or less to any climate and soil, hwoever the selection of specific interventions should be based on local conditions. Professor Che Wu compared sponge city projects in different areas of China and concluded that “China implemented many similar projects over the past 20 years following the same concept but using different implementation strategies in different projects. An implementation strategy might prove very successful with certain types of building and soil conditions, but cannot be transferred in a standardized way to another context, as it might not prove as successful as local conditions change”. Many best practices are available from where we can learn. An open dialogue and exchange of solutions across cities worldwide will be essential to accelerate the transition and the spreading of most effective solutions. The challenges discussed in the salon can only be tackled within an environment of continuous learning based on sharing of experiences and tested solutions. Only through such sharing and active learning effort we can promote effective development of sponge cities in China.